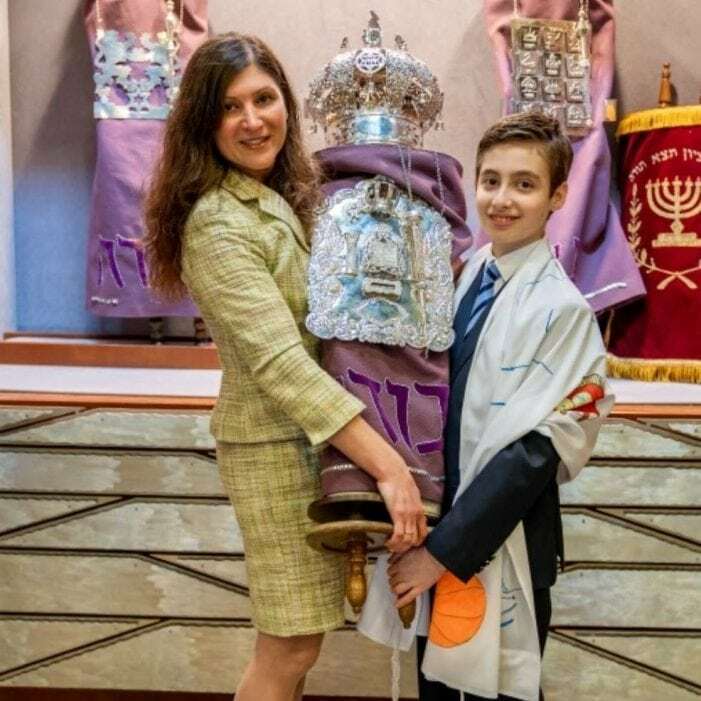 She grew up in Russia, where religion could not be practiced, yet on July 1, Inna Serebro-Litvak was named rabbi-cantor at Temple Shalom in Roxbury. For the past 13 years she was part of the clergy at Temple Beth Am in Parsippany. However, she knew it was time for a change. She was raised in St. Petersburg, Russia and besides her grandparents speaking Yiddish, she didn’t know too much about Judaism. the “black sheep” of her family. In fact, she took voice lessons at a shul in St. Petersburg and sang in the choir. “I wanted to be a singer,” she said. Then in 1990 at the age of 18, her family made Aliyah to Israel. It was here in the Jewish homeland, where she finally discovered Judaism. In Israel, she studied musical education at the Musical Academy of Tel Aviv University. During that time, she sang in numerous concerts throughout the country, had a leading role in the play “A Hosn in Shtetl” in Yiddish theatre and sang in the Tel Aviv Philharmonic Choir. the fast pace of New York. In 2002, she obtained her master’s degree from the Miller Cantorial School at the Jewish Theological Seminary and was the first woman from the former Soviet Union to graduate from JTS. Serebro-Litvak then landed her first cantorial job in 2002 at Temple B’nai Or in Morristown. Her tenure there was brief and eventually became the cantor at Beth Am in Parsippany in 2005. While at Beth Am the yearning to help others and inspire grew in her. Consequently, she went to rabbinical school at Academy of Jewish Religion in Yonkers, N.Y., and received her ordination and master’s degree in Jewish Studies on May 12, 2016. She developed a strong bond with the congregation and credits a lot of her success to the late Rabbi Steven Mills. Mills died suddenly July 2, 2017 the day after the shul began a rabbi sharing partnership with Temple Shalom of Succasunna. But, not long after his death, the two synagogues did not see the benefit of sharing and began to each look for separate rabbis. She applied for the position at the Reform synagogue in Succasunna and the rest is history. “Beyond the music I enjoy helping people and teaching,” the rabbi remarked. “I’m delighted that at Temple Shalom I will be fulfilling both roles. Serebro-Litvak has been working at the shul for about a year, so it was a smooth transition, she explained. It is a small congregation and she feels at home. Her goals are to make the synagogue a place where people not only come and pray, but where they can be together, connect and feel at peace. “I’m so blessed to live the life I’ve always dreamt of,” she said.